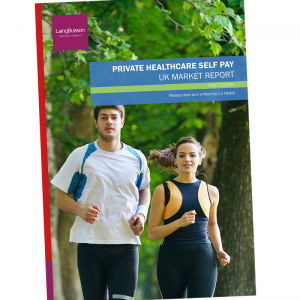 In recent years, the UK’s healthcare system has undergone considerable change, with the 2012 Health and Social Care Act introducing the most wide-ranging reforms since the NHS was founded in 1948. These structural changes to the NHS have been significant, with key groups and new clients formed through the introduction of new commissioning consortia and foundation trusts. 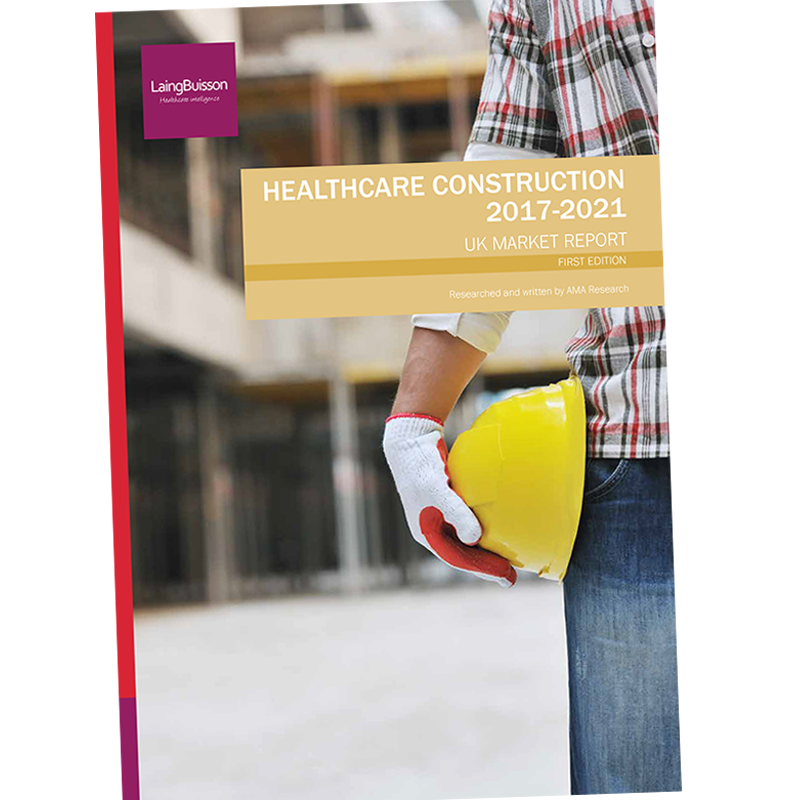 At the same time, and against a backdrop of declining capital investment in the NHS, the nature of healthcare procurement and construction is also changing. 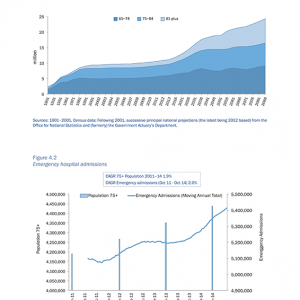 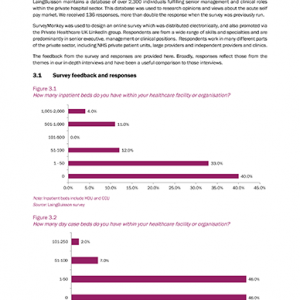 The focus has slowly moved from the secondary care and hospital sector to investment in primary and community care facilities and this trend has also been echoed in the Five Year Forward View, with Multispecialty Community Providers (MCPs) vanguards, led by GPs, bringing some services out into the community that have traditionally been provided in hospitals. 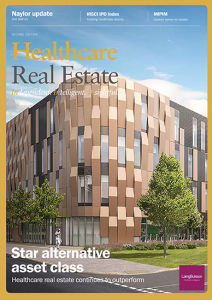 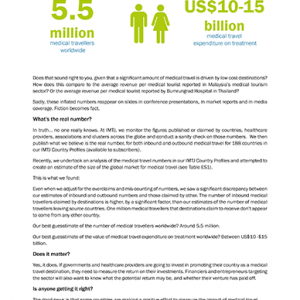 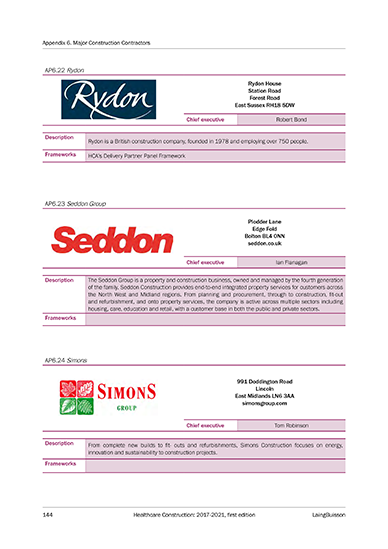 The implication for healthcare contractors and their supply chains has been a decline in the scale and size of healthcare projects, with a greater proportion of work now focused on lower-cost refurbishment works and expansion of hospital facilities, rather than on the construction of new buildings. 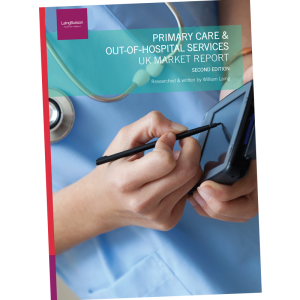 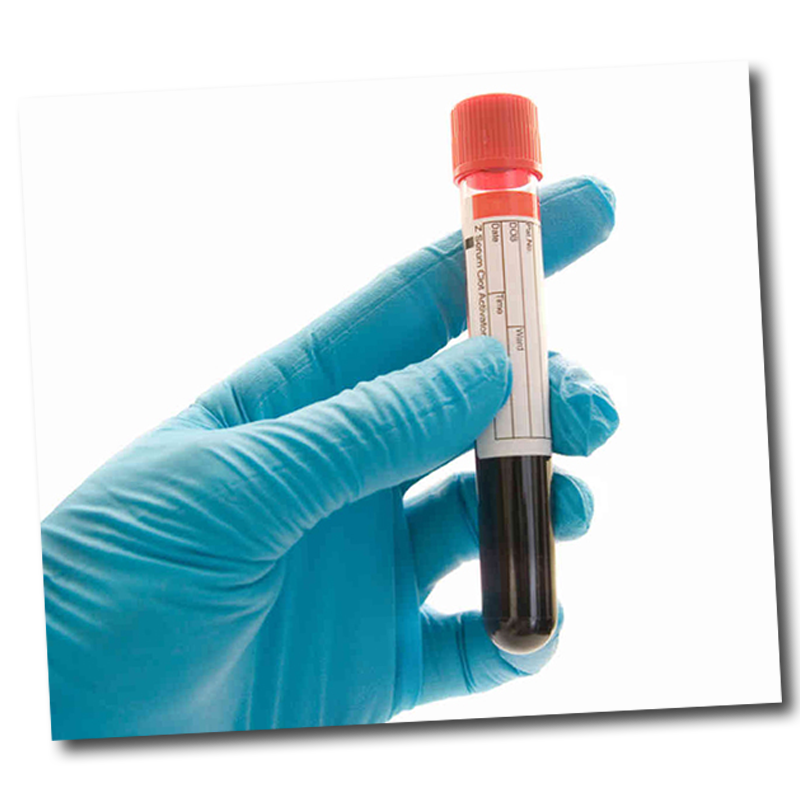 Against this backdrop the government has announced a forward pipeline of almost £6 billion worth of healthcare capital projects taking place between now and 2020 and beyond. 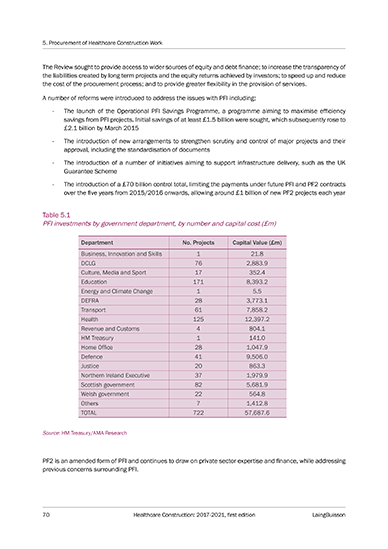 There are around 597 individual health projects under almost 700 schemes with a combined value of around £5.7 billion. 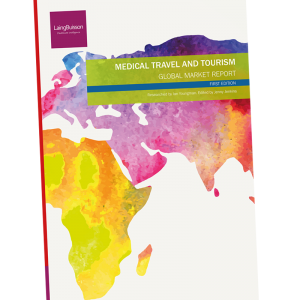 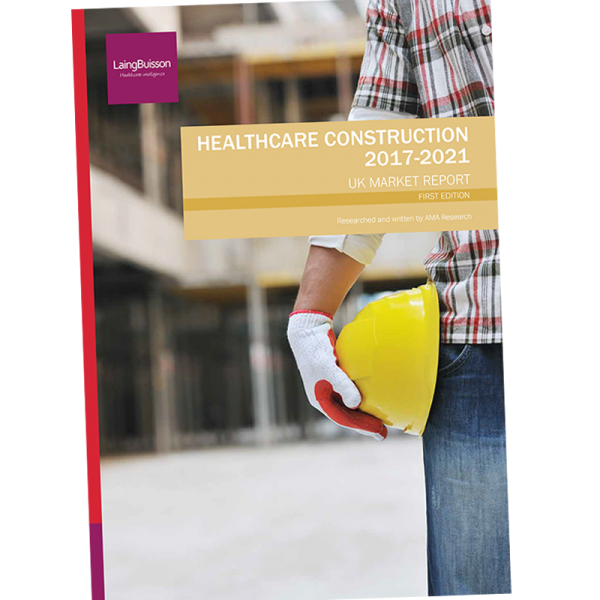 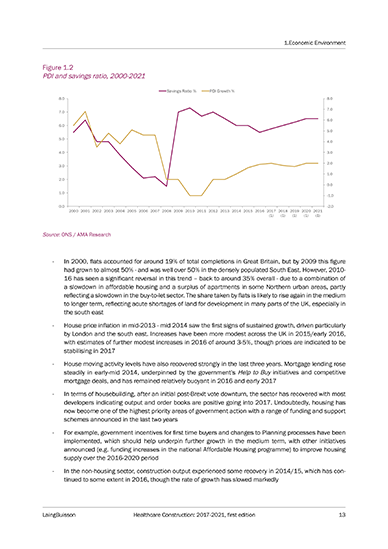 Alongside comprehensive reviews of the current NHS and private sector healthcare estates, this new report from LaingBuisson looks at future opportunities for healthcare sector work and key issues for the construction industry.